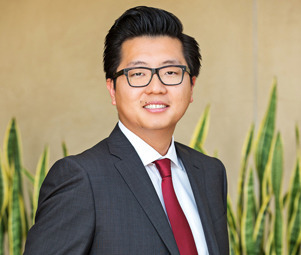 Gary Chou stands as the Senior Vice President and Senior Director of Single-Tenant Net-Leased Business for Matthews Retail Advisors™. Gary and his team specialize in advisory consulting and the disposition and acquisition of single-tenant NNN properties nationwide. Matthews Retail Advisors Single-Tenant Net-Leased Practice Group holds one of the largest market shares nationwide for this particular vertical. Gary has managed transactions and forged ties with clients ranging from private investors and institutions to some of the world’s largest corporate restaurant companies, publicly traded REITs, private equity funds, franchise operators, developers, and high net-worth individuals. In addition to standard Net Leased Transactions, Gary advises using his comprehensive knowledge, unrelenting work ethic, and leading authority on using sale-leasebacks as a financial instrument to maximize financial benefits, thereby guiding his clients toward their investment goals through commercial real estate. Prior to his current role at Matthews Retail Advisors, Gary established himself as a top producer at Colliers International where he managed transactions and created valuable relationships with some of the nation’s largest institutions, developers, syndicators, lenders, and REITs. During this tenure he was one of five recipients of the company’s Next Gen Award, an accolade earned by the top upcoming brokers nationwide.